And they're off! 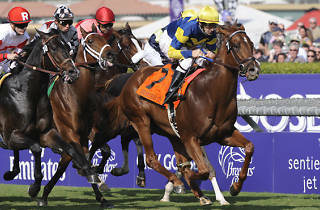 On Friday and Saturday, the grand finale of the thoroughbred horseracing season makes its way to Santa Anita Park. 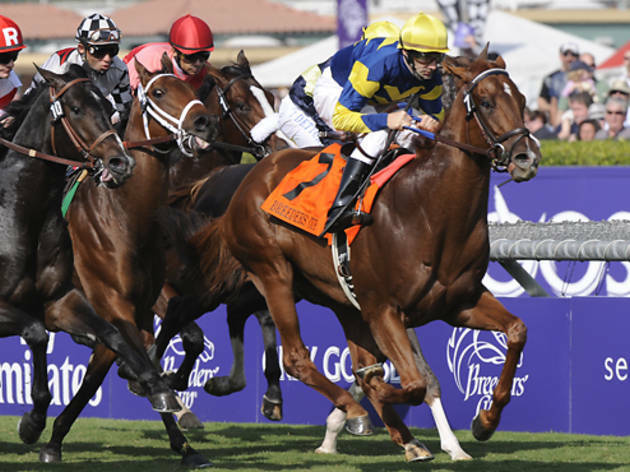 Cheer on your favorite horses during the two-day celeb-studded championship races. Make sure to dress to impress for the both days' fashion contests: Ladies, put on your best fascinator (that's a fancy phrase for a headpiece) and men, your fanciest fedora.